That’s right, I rode to Iowa. Ok, I rode in a car from Texas to Iowa, but I did take my bike with me. My husband and I traveled up there to his family’s farm to celebrate his parent’s 40th wedding anniversary. 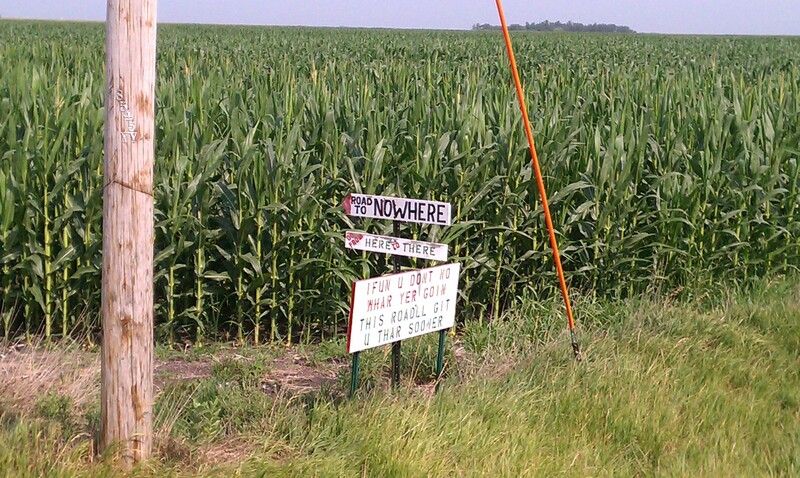 The farm is just outside of Northwood, Iowa, a few miles south of the Minnesota border. While not all of Iowa is flat, north central Iowa is so I was excited to pack up my bike into the trunk of our car to take along with us. The event that I’m training for is only four weeks away so being able to continue my training during our trip was great. 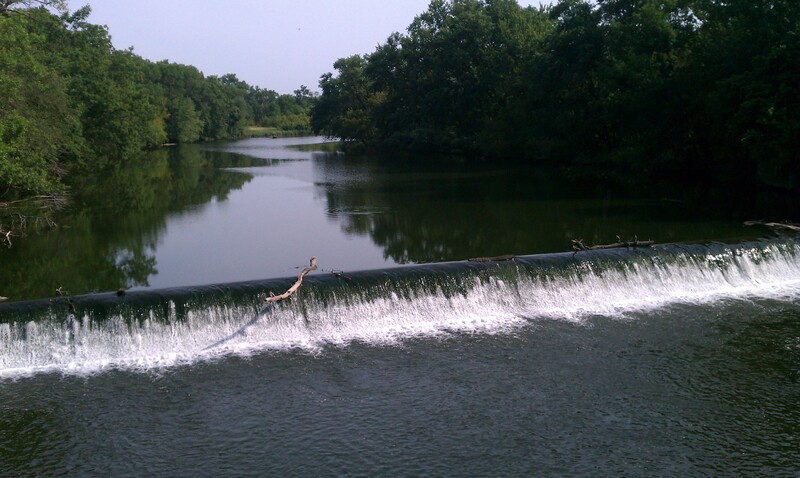 My training is for the 2012 Bike MS: Pedal to the Point in northern Ohio. It’s a 175 mile bike ride over two days. If you’re able, please consider supporting my participation by making a donation to the MS Society. This is my 5th year bike riding to raise money for the MS Society. I’ve seen too many friends and family affected by the disease. Before making the trip, I planned for my rides by requesting an Iowa bike map from the department of transportation. It was super helpful and up to date. It also arrived the day before we left. I used that map to chart out my routes along the very grid-like roads. The map was also key because on Google maps I couldn’t necessarily tell which roads were gravel and which were paved. There are many gravel roads in Iowa. My route on Friday ended up being a 75 mile loop. I planned to ride east and south at the beginning because the wind was forecasted out of the south / south east. Last week was amazingly hot for Iowa, hitting 100 degrees or more so it was basically the same weather I cope with in Texas. 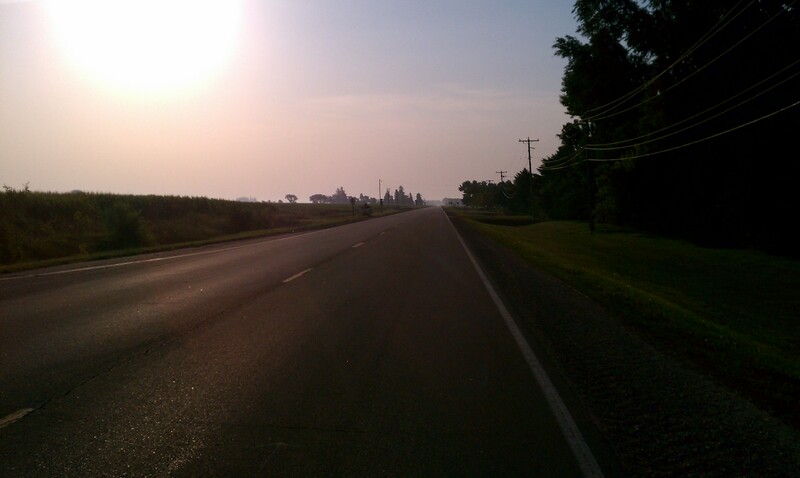 Friday morning I set out at 7 am and headed east of Northwood. Setting out in the morning towards the sun on a flat road. 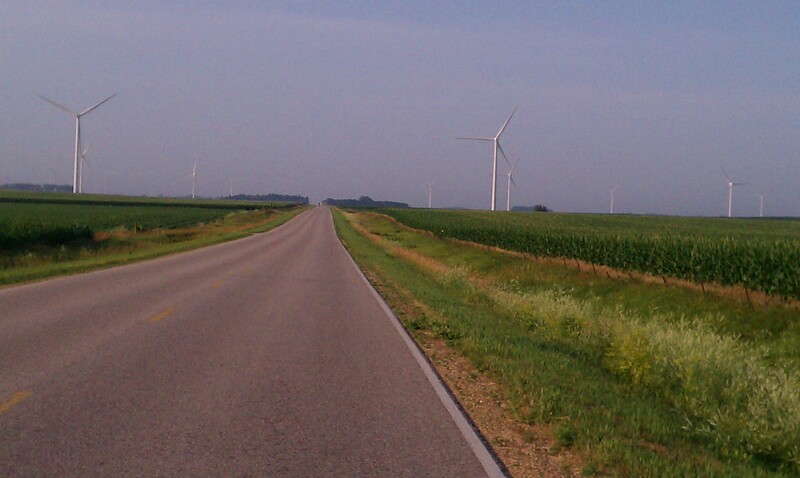 The first half of my ride consisted of my staring in wonder at all of the windmills. I’ve seen plenty of windmills in west Texas, but never from a bike and so close to me. The wind wasn’t too strong and about half of the windmills weren’t spinning. My assumption is that the grid didn’t need or couldn’t handle the power at that time, so some of the windmills were turned off. In Texas, the windmills typically go as far as you can see in places. In Iowa, they were more contained. I assume that individual small farms have installed the windmills while in Texas, they are installed on the HUGE ranches that stretch for many miles. Windmills on both sides of the road. 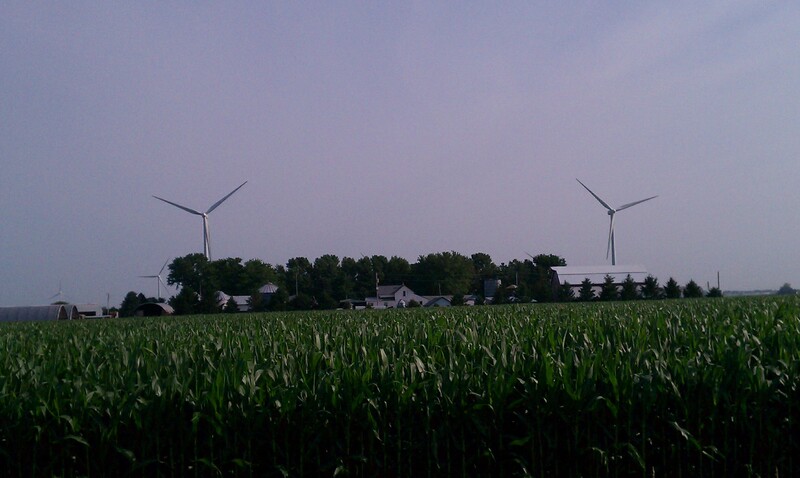 A common site: a corn field, farm buildings, and windmills. This small Iowa river is bigger than any river I see in Texas. 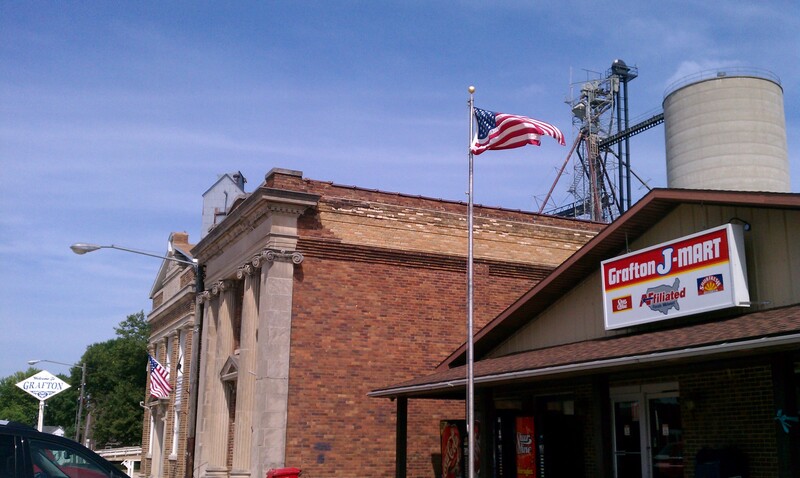 Around mile 48, I stopped in the small town of St. Ansgar to refill my water bottles and to enjoy a few minutes off of the bike while eating a granola bar. I sat on a bench located along the main street and took a few pictures. Buildings in the main part of town. The red one is from 1891! During the ride, I missed two turns due to unmarked roads. Luckily I was able to use the Iowa biking map to correct my mistakes before too long. Because not many roads were paved it was pretty easy to figure out that if it was paved, it was my turn. 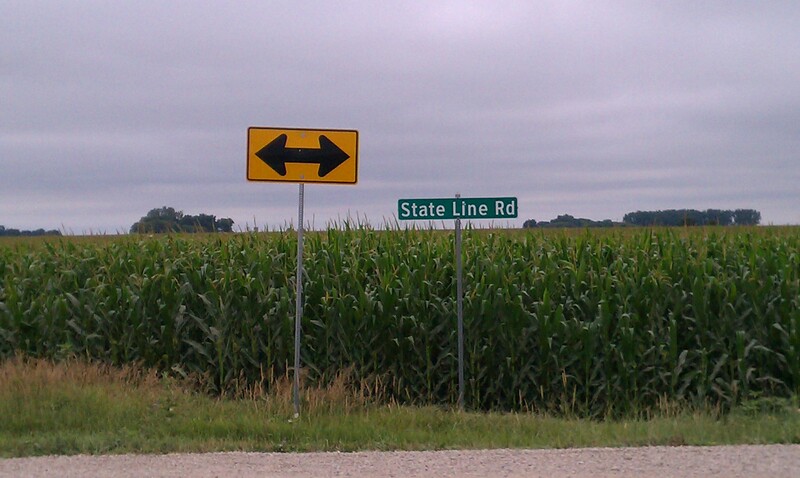 Confusing sign on the road I was supposed to turn on but was unmarked. Made me think it was a dead end! 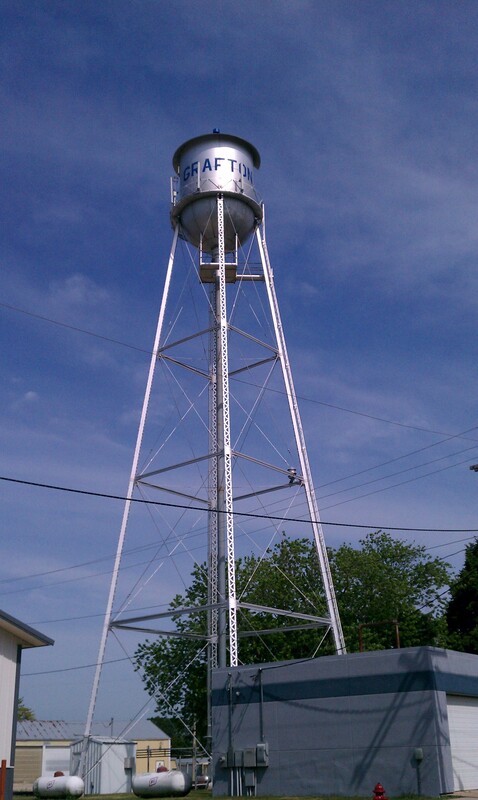 My second stop for water and a banana was a tiny market in Grafton, IA. I knew I wanted to ride through Grafton because my Mom lives in Grafton, Ohio! Look Ma, I’m in Grafton! 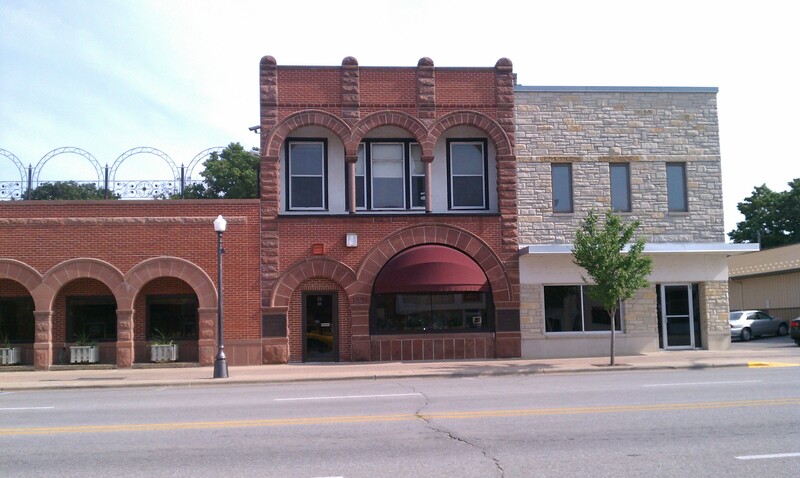 Grafton also had some old buildings. 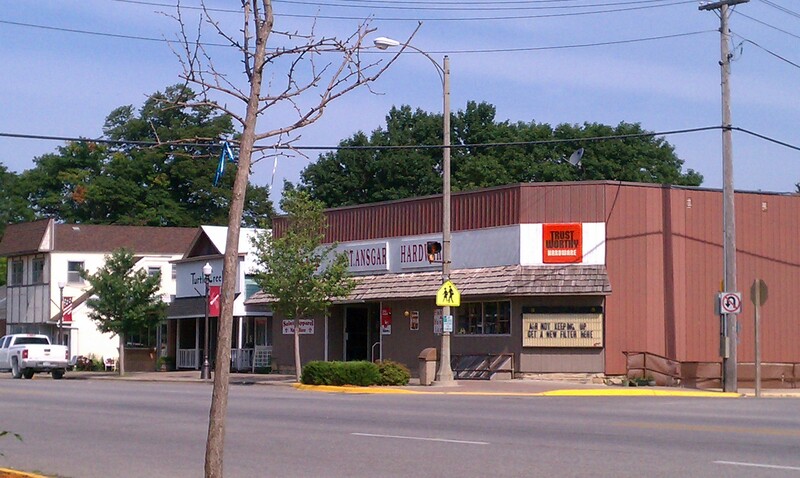 The market shared the same space as the post office. It was lucky that Grafton had a market, which I didn’t know in advance, because I managed not to pack enough food for the ride. Grafton was around mile 55 of the route. I finished my ride at 12:15. The last hour and a half was just plain hot but I still enjoyed every minute of it. On Saturday morning, I was able to get out for a short 35 mile ride. The weather had cooled considerably and brought with it a stronger wind out of the north. When I left, I had some concern that it might rain. The first thing I did was turn north into the wind on a road that I thought would take me into Minnesota. It took me right to the border and turned to gravel. See, I rode to Minnesota! And then turned around. I then turned south and completed a loop back to the farm. 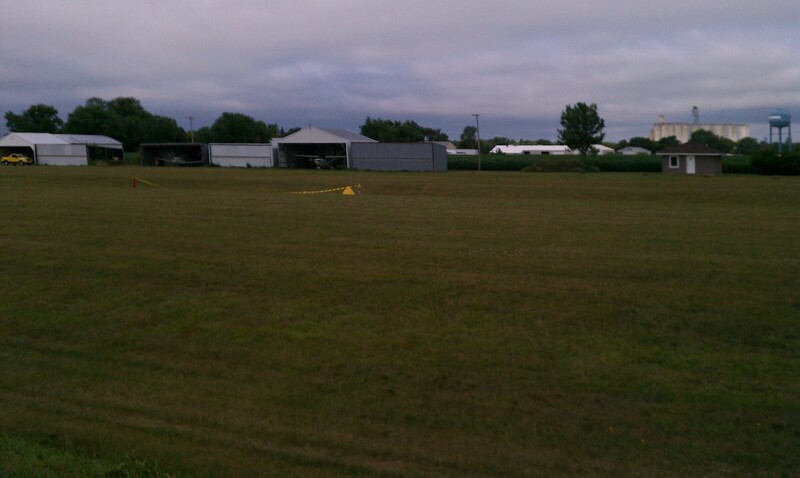 I passed the local grass airstrip where tiny planes take off, I imagine to spread water or chemicals on fields. The clouds are rather ominous in this picture, but they had all burned away by the time I finished my ride. It was a perfect way to start the day of the party. Riding in Iowa was better than I had even imagined. It was mostly flat except for long, low hills, the roads were amazingly well kept, and the drivers were very courteous. Not only did they move all the way over into the left lane to pass me, but many even gave a friendly wave. The waves from Texas drivers tend to be the unfriendly kind. I wouldn’t hesitate to ride there again.